The use of plastic money is increasing by the day. Loss of sensitive information while using debit or credit cards is a cause for concern for everyone. Therefore, it is essential that you take appropriate measures while using the internet. You must know what is a VPN and how to use the best VPN to avoid loss of data in the cyber world. No Online Place Is Secure! One may feel that renowned restaurants, hotels, etc. are safe places. However, you will find that your online privacy and security is at risk even in the most famous public places. Take the example of the large casual dining chain Chili’s. Brinker International, Chili’s parent company, announced the possibility of the data breach in March and April this year. The company even issues an apology for the same. There is a possibility that credit and debit card details of some of the customers may have been compromised at some of the outlets. According to the hotel chain, some kind of malware is responsible for this. The matter is still under investigation. At the same time, the customer is warned to monitor their credit and debit card statements. But if you want to ensure your online safety, it’s vital to use the best VPN. Many people prefer to browse the internet anonymously. This way, you can hide your location and whereabouts. This is possible by either using TOR or by using virtual private networks. TOR is useful in browsing the internet anonymously. But it makes use of relay nodes. If a website is not using SSL, then this can lead to a problem. TOR is also known to slow down the browsing speed. It is also used for criminal activities; hence, the government agencies closely monitor it. However, this is not the case with virtual private networks or a VPN. Both TOR and VPNs have their features. Let’s understand VPN in detail. A VPN is a popular internet security way, adopted by many business organizations as well as individuals. The method is famous due to its ease of use and benefits. 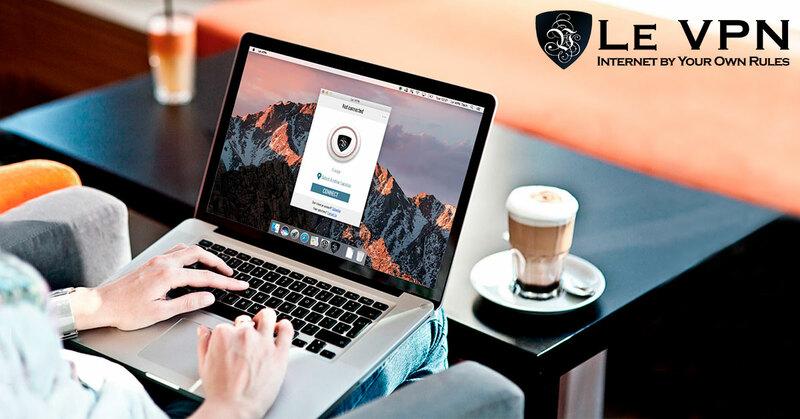 A VPN will help you in masking your IP address and creating a secure internet connection on the public platform known as the internet. With this service, you can overcome geo-restriction and internet censorship. All the data is encrypted, and you are safe in the online world. There are some free service providers, but they are not entirely reliable. Le VPN is one of the best VPN service providers in the market. We have competitive packages and offer 7-days money back guarantee. Le VPN uses the AES-256 encryption algorithm, which is among the most advanced encryption protocols. This allows Le VPN to protect you from malware and online hackers. Additionally, using Le VPN does not affect your internet speed. Your browsing data is kept secret as Le VPN do not store logs of the user. Therefore, you are 100% safe in the online world with Le VPN.